US 270 Caston Creek, LeFlore Co. 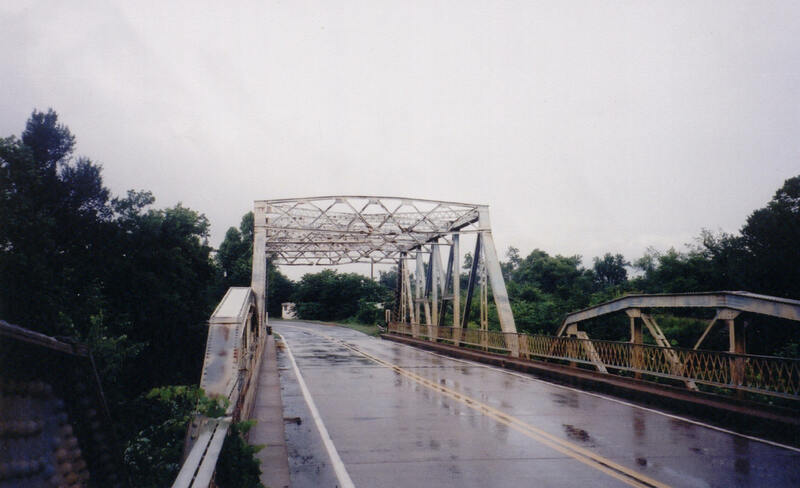 This interesting bridge was erected here in 1941. 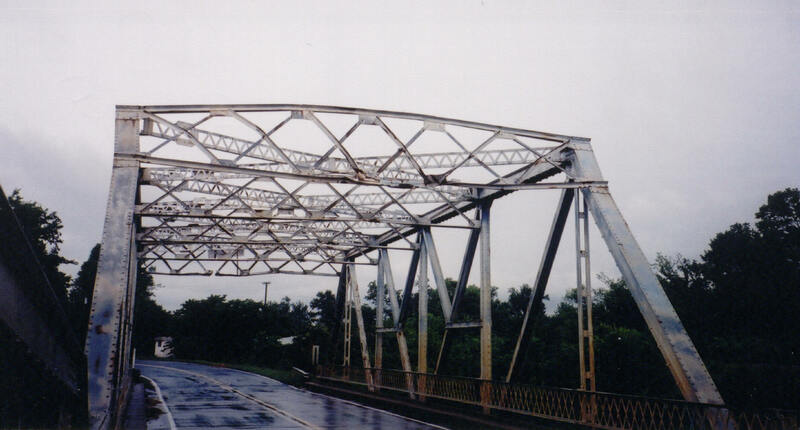 It consists of a 120-foot modified through Pratt and two 100-foot Parker pony truss spans. This bridge is one of the very few truss bridges we've seen that has been widened. Notice the wide curbs typical of bridges built new around 1940, and the lattice railings, extensively used before 1932 on most highway bridges. Above, a general view of the bridge. 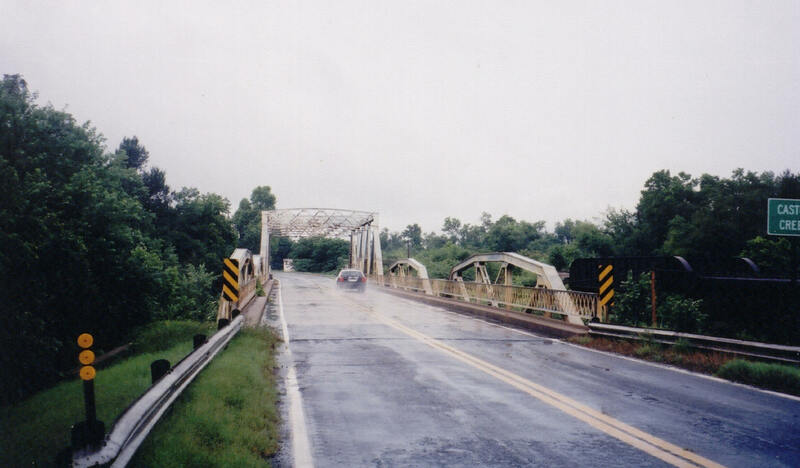 The bridge is located on the south edge of the community of Wister. Below is a view looking through the bridge form one of the pony spans. 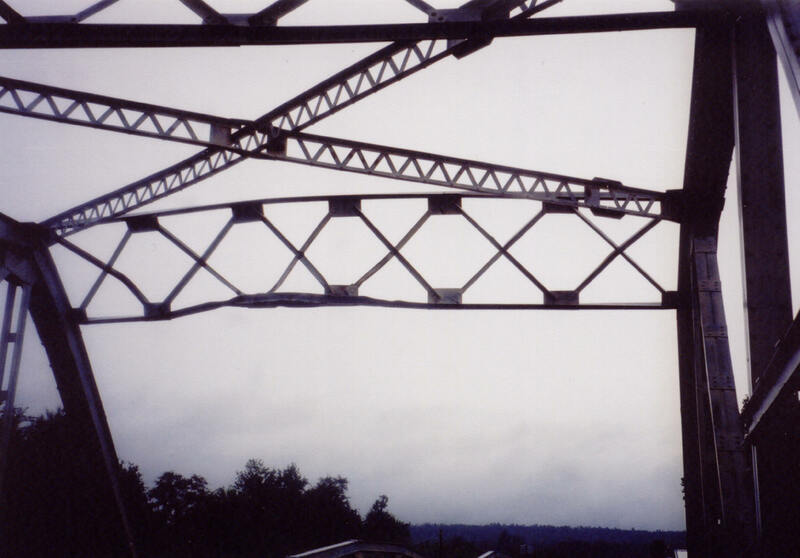 Above, a view of the through span's upper system. 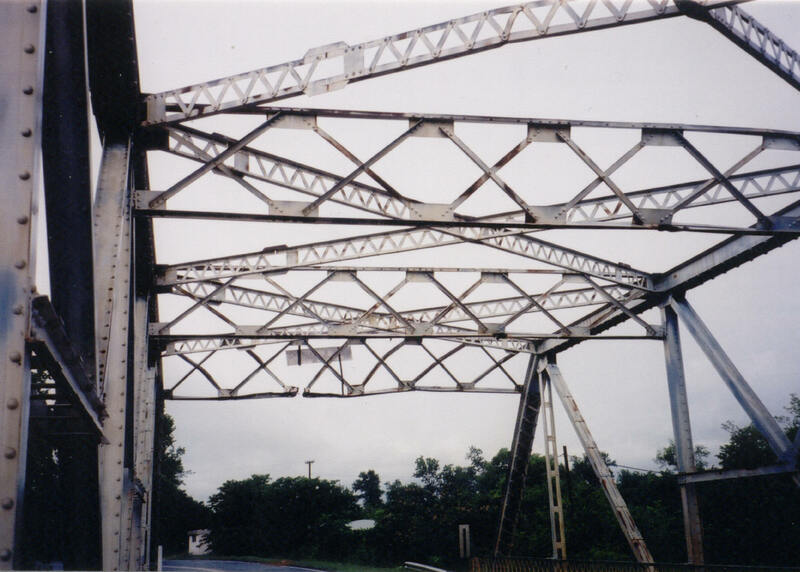 As you can see by the extra material grafted onto the upper lateral truss, this bridge has been widened. This bridge probably originally dates to the 1920's, and was widened (and possibly moved) in 1941. Note that in the view above and below, the portals and sway bracing contain six panels, and that the center two panels (the two middles "x"'s) are narrower than the others. These are the added sections. Note that a lot of damage has been inflicted on the portal because of the unusually low clearance. This bridge probably started its life with a 18 or 20 foot wide deck, and it now has a deck nearly 25 feet wide. To accommodate these changes, the floor beams had to be made deeper, resulting in a loss of vertical clearance in the process. Below, another overview of this well-weathered veteran of public service.